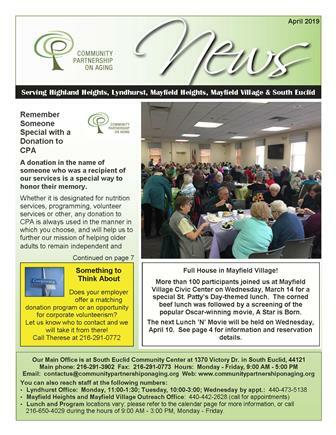 Community Partnership on Aging offers a variety of programs to meet just about everybody’s needs and interests, from Scrabble and card games to discussion groups, knitting groups, book club to exercise classes and more! 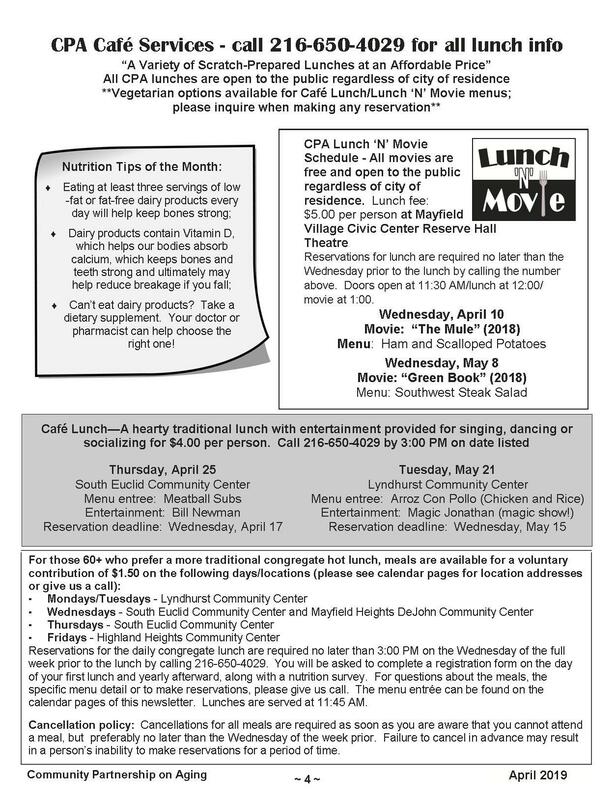 Programs take place on a rotating basis throughout the week/month at Lyndhurst Community Center, South Euclid Community Center, Highland Heights Community Center, Mayfield Heights DeJohn Community Center and Mayfield Village Civic Center. Call our program reservation phone line at (216) 650-4029 with any questions or for additional information. 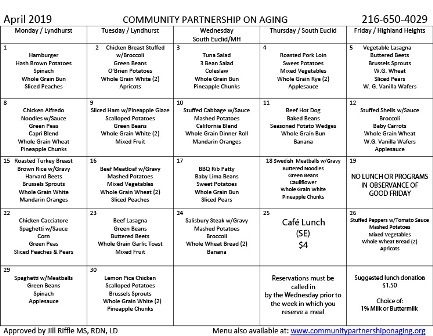 Community Partnership on Aging offers a variety of classes to fit your interest and pace! Fees vary based on the class; please call our program department at 216-650-4029 for further information. Arthritis Exercise – Approved by the Arthritis Foundation so you know it’s easier on the joints! Senior Exercise – A light work out to music! Laughter Club – Laughter IS the best medicine! Intermediate Line Dancing – Remember oldies like the Bossa Nova or learn new dances such as Cupid Shuffle and Cha Cha Slide! Fridays, 9:30-10:30 at DeJohn Community Center in Mayfield Hts. Gentle Yoga – Our instructor can work with ANY ability level! 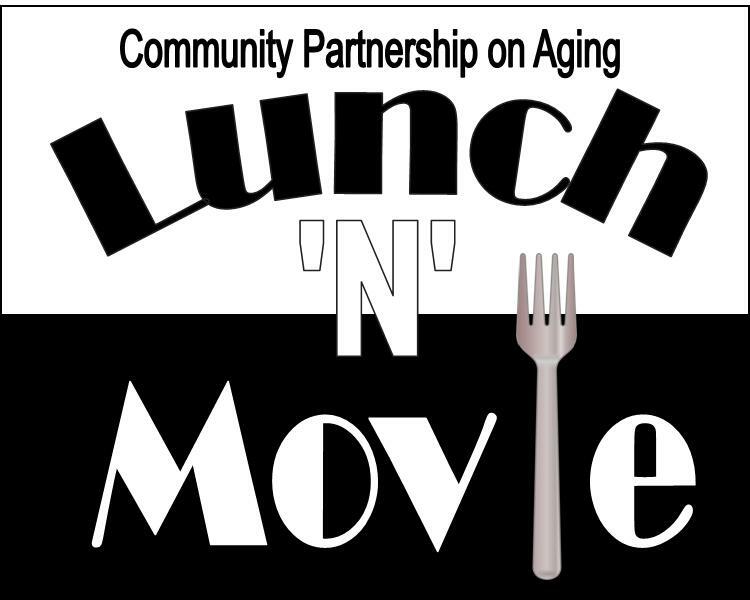 Fridays, 12:00-1:00 at DeJohn Community Center in Mayfield Hts.